$10 Buck Tuesday-Every Tuesday All Day Until Closing (2 Games of Bowling and Shoe Rental for only $10 per person). Walk in special only. 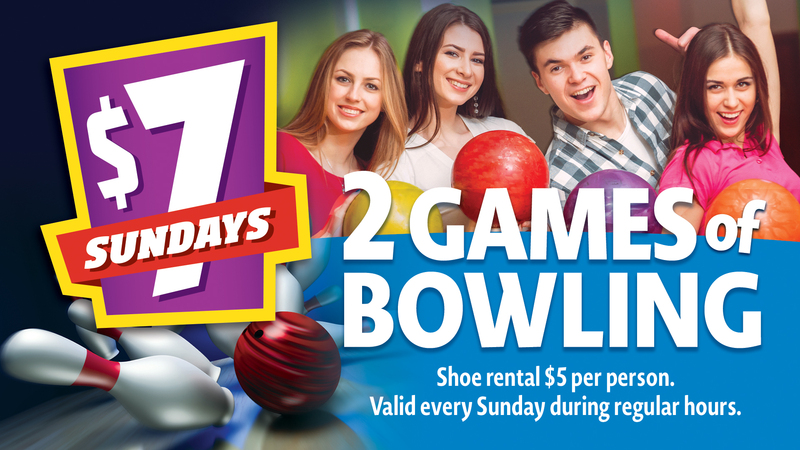 $7 Sunday-Every Sunday All Day Until Closing (2 Games of Bowling). Shoe rental $5 per person. Walk in special only. Reservations not accepted for $10 Tuesday or $7 Sunday.